One of the challenges in learning to live with skin that is affected by lamellar ichthyosis has been to develop an understanding that I am not innately a flawed person. Because ichthyosis is so visible, it can feel like a brand of some deeper disorder. But it is not. It is simply a disorder of the skin and probably only a failure of an enzyme or two. When I was born in 1950, lamellar ichthyosis was poorly understood. I endured many painful experiences. I was hospitalized for a month of treatment trials as an infant. I had all my hair cut off as a third grader to try a treatment on a nearly bare scalp. As a grade-schooler, I was kicked out of a public swimming pool while taking lessons with my neighborhood friends. 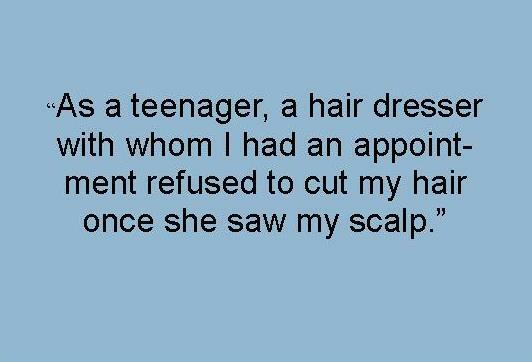 As a teenager, a hair dresser with whom I had an appointment refused to cut my hair once she saw my scalp. Nearly everywhere I went people asked “What’s wrong with you? What happened to you? Were you burned?” I remember well the sense of embarrassment and shame that I was different. I assumed that the something wrong with me was way more than skin deep. Thankfully I was also around people who knew that there was much more to me and to life than my skin. My family, nuclear and extended, my teachers, and others loved me for the normal, complete person that I was and helped me put ichthyosis in its proper place in my life. My healing continued as I got married, had wonderful children, worked in and out of our home, pursued my hobbies and developed a relationship with God through Jesus Christ. It was God who showed me it’s never too late to have your dreams come true when He brought me my first horse at age 52, satisfying a lifelong longing for a horse of my own. 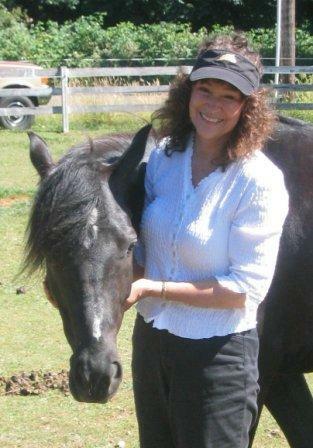 My husband and I cherish our relationships with each other, our sons and their beloveds, our friends, our horse and cats, and other animals we come in contact with. We enjoy physical activity and being out in nature. I also love to sing and to paint in watercolor. I understand the courage it takes for anyone with a visible difference to leave the house and participate fully in life, and I admire them. 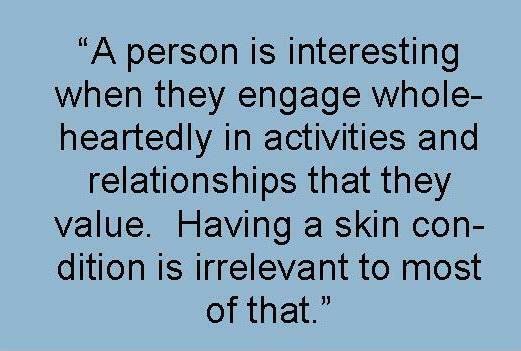 A person is interesting when they engage wholeheartedly in activities and relationships that they value. Having a skin condition is irrelevant to most of that. 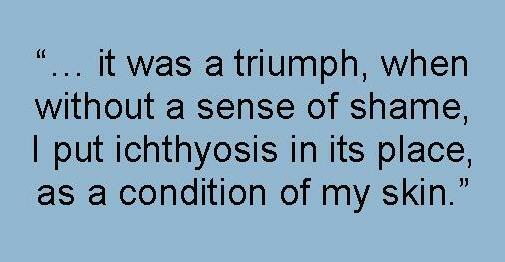 So, it was a triumph, when without a sense of shame, I put ichthyosis in its place, as a condition of my skin. My sense of myself as a valuable person was intact. My interests, my relationships, my compassion, my laugh are among the many things that define me. My skin does not. Cynthia's story was featured during ichthyosis awareness month 2013. To read all of the stories featured during Ichthyosis Awareness Month 2013, click here.